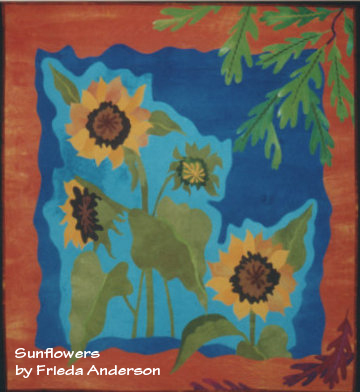 I used to grow Sunflowers in my garden. Now I grow them in my flower box next to the garage. 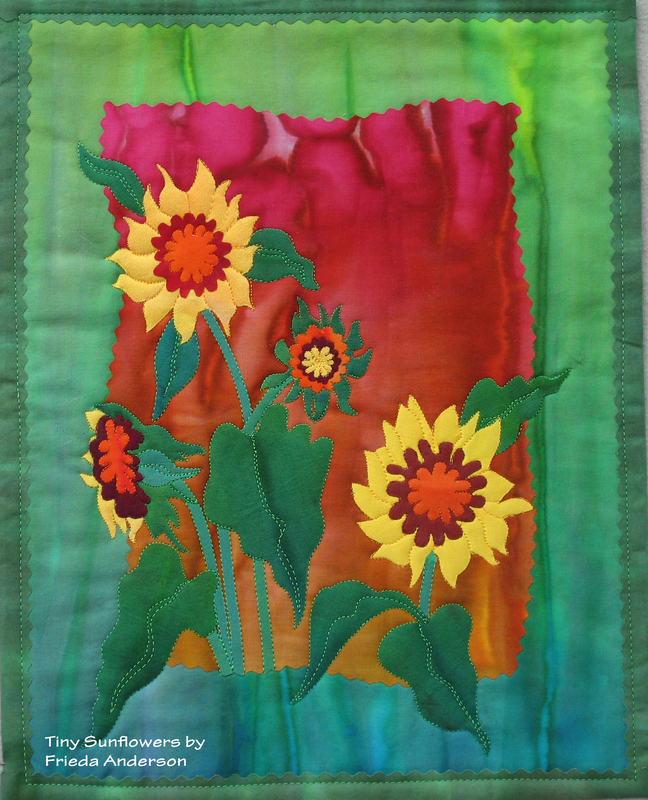 Ya gotta just love Sunflowers, always so bright and pretty and BIG. 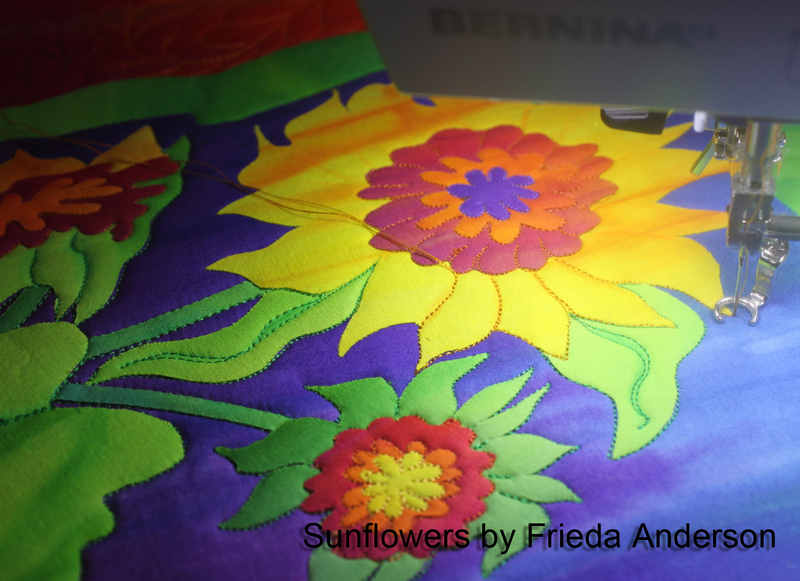 I designed this quilt pattern, Petite Sunflowers, after making and selling a much larger version of this design. 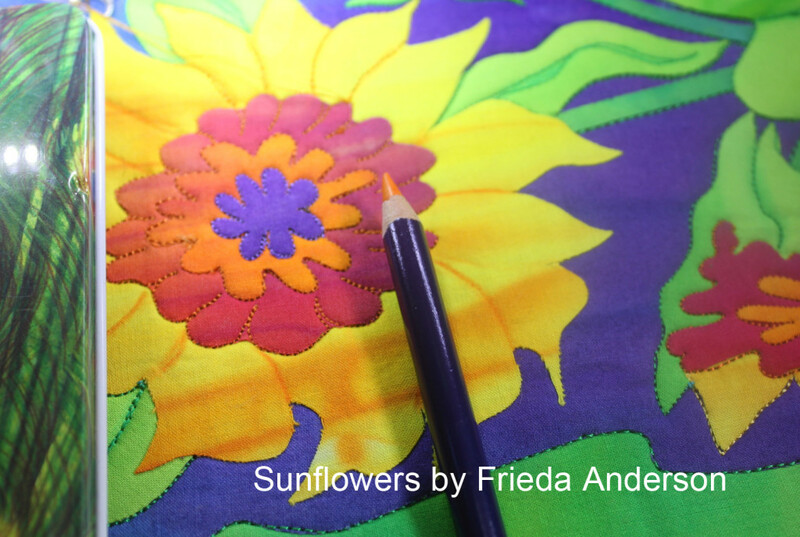 I thought you might enjoy seeing one of the tricks I use when I am quilting in some detail. I love to use the Derwent water color pencils to mark my quilting lines. 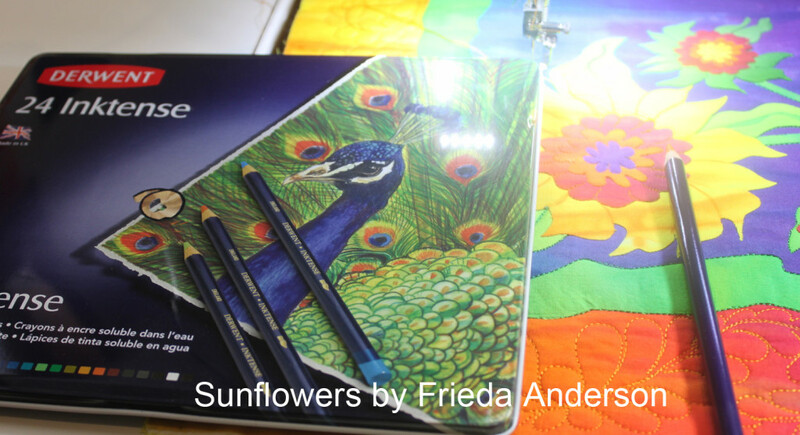 I can see the line so easily if I use a darker color of pencil and then I can quilt right over the line that I draw. If I want to make this line permanent I can by wetting it and then ironing it. I can also blend it that way too. And of course I always have to make a tiny version of any quilt that I make.